How can I send you some suggestions or feedback? Writing my return policy: I don't know where to start? How to use the search tab/bar? I need inspiration to style my portal! How to create a packing slip? How can I find my archived returns? We've empowered many merchants get their portal customized to create a fully brand-consistent and trustworthy returns experience. Here are a couple of return portals you can take a look at for examples. Note that you can edit the style of your portal in your Settings under Portal. We have 4 different themes to allow you to choose the font that matches best your store. They are all basic fonts available to everyone, so you should find something that works for you! We allow you to edit the colors of your portal to match your brand. For more advanced customization, you can also edit the wording of your portal directly. This feature is currently in beta, please reach out to support@returnmagic.com so we can activate it for you! Finally, you can also add text above and below your portal to add your own character and branding to the return portal. Although no custom CSS was used to style this portal, they used the portal content editor to make sure their customers could have access to their return policy right on the portal, without taking to much space. You can use the Bootstrap accordion to create this fully mobile-responsive design. If you want to customize it further, you can use inline HTML style tags, or our custom CSS feature (example of Ariel Gordon Jewelry who used the same Bootstrap accordion with custom CSS or Bohemian Mama who only used inline HTML). The custom CSS feature is currently in beta, so please reach out to us at support@returnmagic.com if you'd like us to activate it for you! Using HTML in the content editor, they were able to create graphics to explain their return process in a clear and simple way. It's also fully mobile responsive using the Bootstrap library. This last example showcases our default portal with a quick link to their full return policy. Supra chose to link their return portal directly in their footer menu, and let the customer read their full return policy only if they need to. You can use Bootstrap buttons to add links to your portal. If you are looking to fully customize the style of your portal to match the rest of your website with custom CSS, the best source of inspiration is often your own site: how are your buttons styled? Your input fields? Your fonts? Using the same styles as you do on the rest of your website will allow you to easily create a portal that really looks and feels like the rest of your website. We hope this helped you find some ideas! 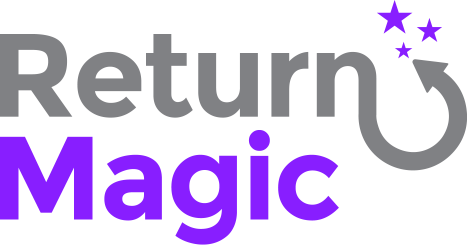 Feel free to reach out to us directly at support@returnmagic.com if you have any questions or want any advice! How to customize the CSS of my portal? How can I edit the styling of the portal?